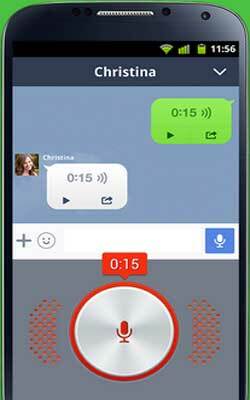 LINE 5.7.1 APK has been released and the developer brings new features in this version. Suggestion feature, forward feature and premium call are available on this version. A few days ago this app added a great feature, it allows users to convey secret messages. This feature is called Hidden Chat. With this feature, chat will be hidden and automatically removed within a certain time period. Actually, this feature often encountered in other instant messaging services, and most recently as SnapChat Telegram Messenger. They are developing this feature because it realizes that privacy and security issues began much ogled users of social networking services. To me, this is the best messaging app, based from the features and the user base, with updates that follow the global needs.